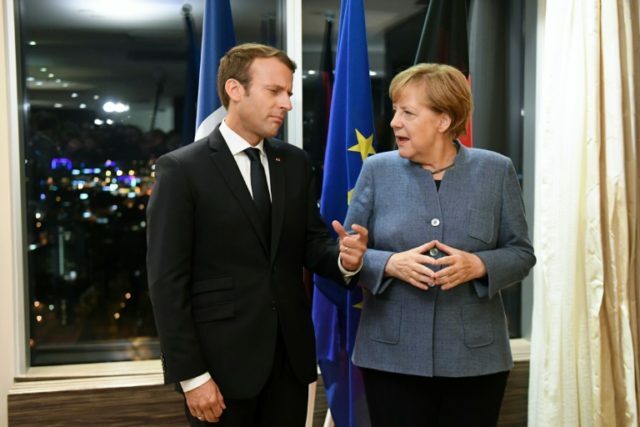 Tallinn (AFP) – German Chancellor Angela Merkel on Thursday hailed French President Emmanuel Macron’s new vision for Europe as EU leaders held a frank debate on reforming the bloc. The leaders discussed the ideas — over courses of flank steak, salmon and rabbit liver — “in a very constructive and positive atmosphere”, an EU source told AFP. “European horizons drawn. Important to avoid mirages in the desert on the way,” said Lithuanian President Dalia Grybauskaite in a first open critique of Macron’s ambition.